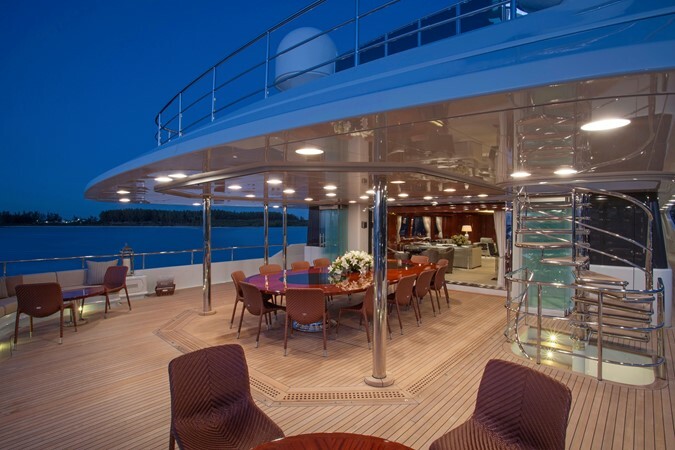 1 Million USD price reduction. 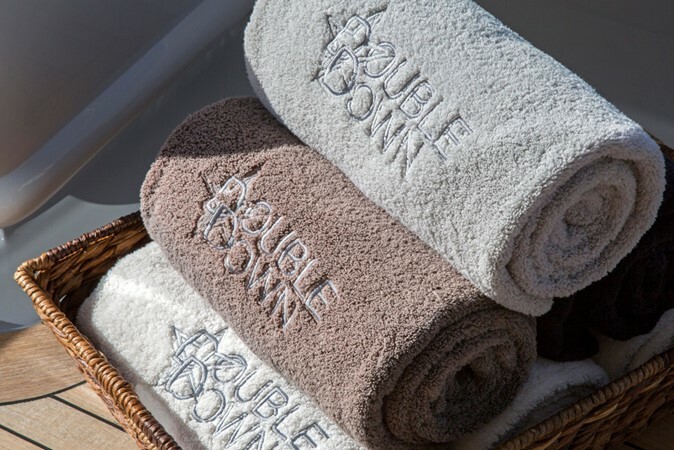 DOUBLE DOWN offers immense volume over 5 sumptuously styled decks. 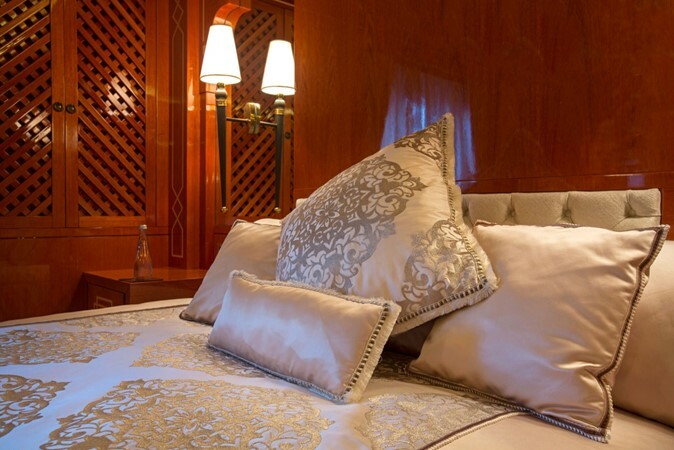 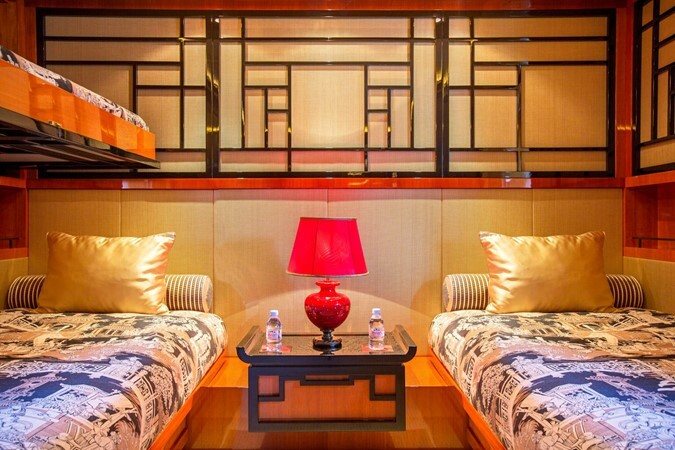 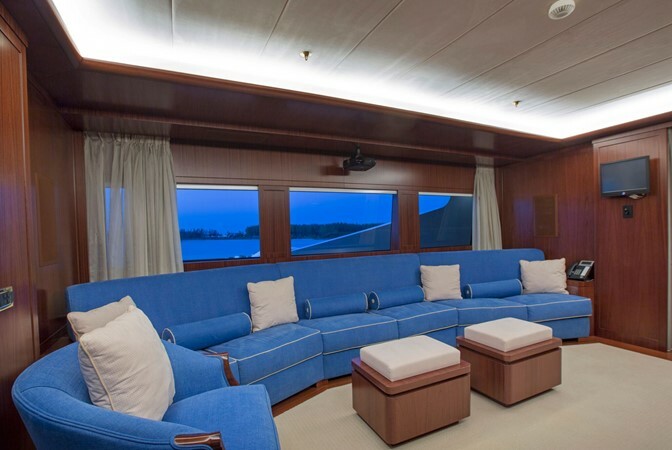 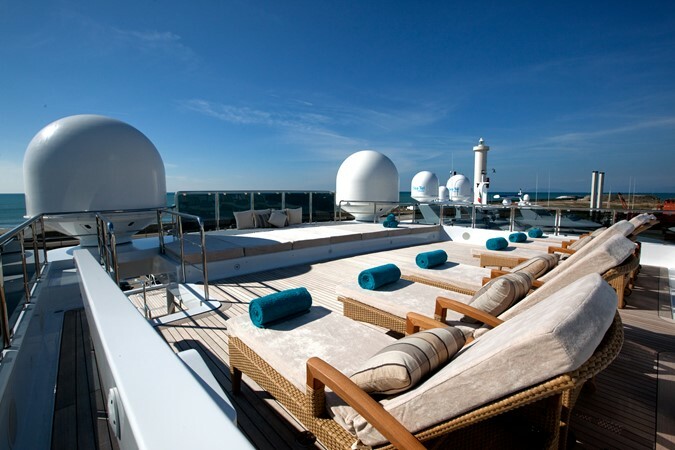 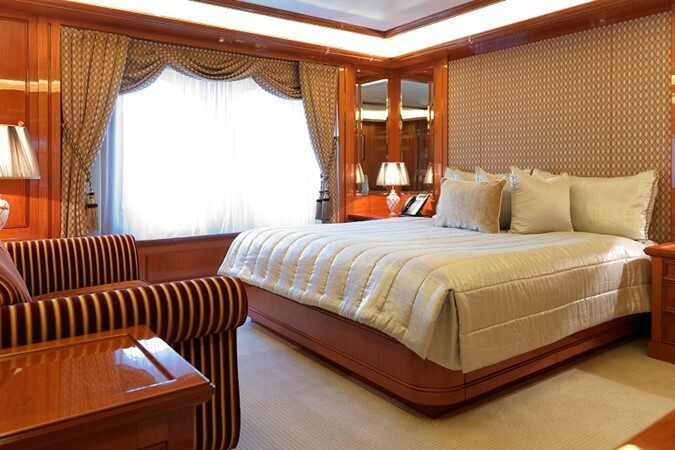 9 guest suites can accommodate up to 20 guests, including a full private owner’s deck, 4 VIP suites, 2 doubles and 2 twins. 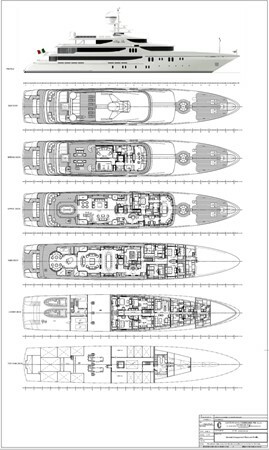 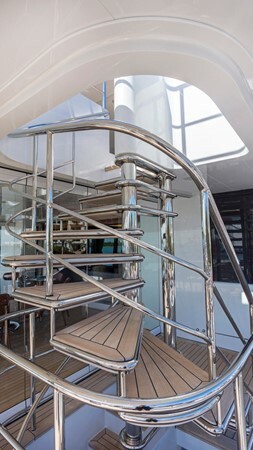 Guest comfort is paramount, with a full-size elevator allowing easy access to all interior decks and zero speed stabilisers ensuring guests can enjoy their time out of port. 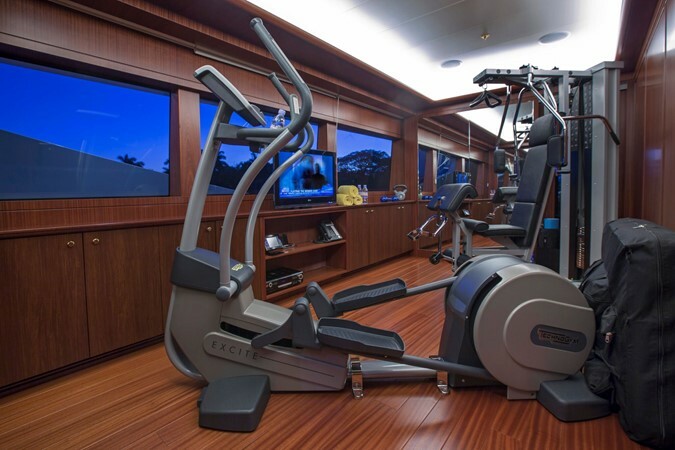 Completing the guest experience are a dedicated gym, cinema, ultra high-specification tropical air-conditioning throughout and on the Owner’s private deck a fully air-conditioned indoor/outdoor dining room. 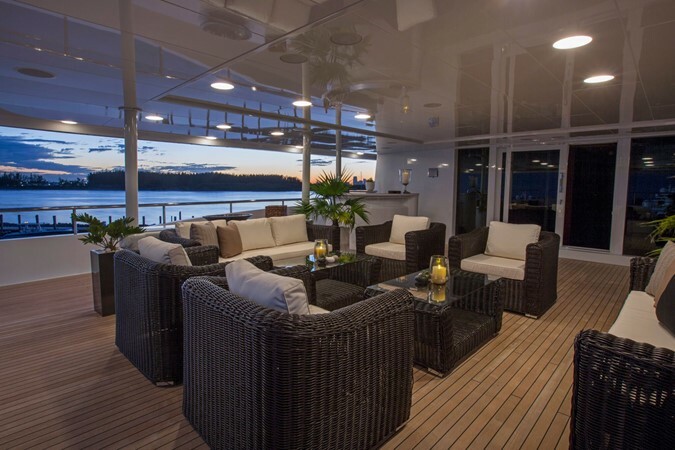 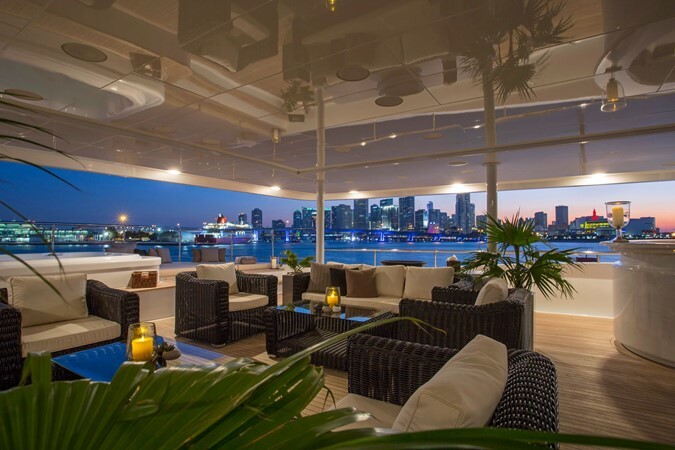 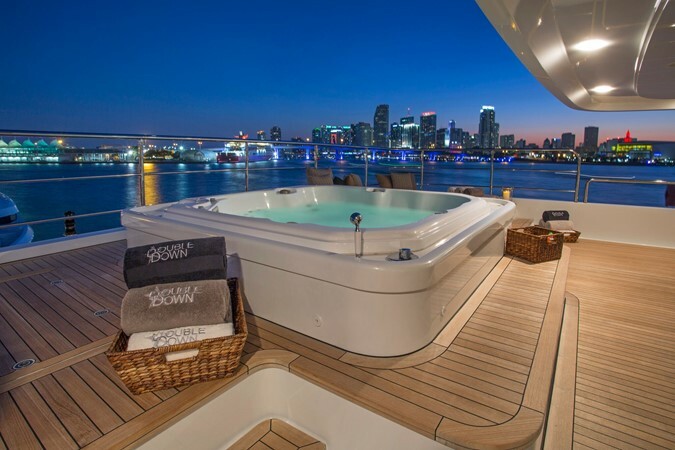 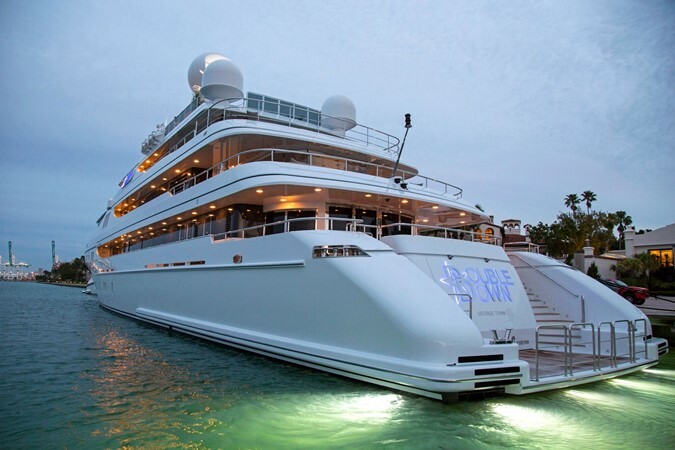 DOUBLE DOWN is the largest Codecasa ever built allowing the respected Italian craftsmen to create expansive outdoor areas including a Jacuzzi deck, separate sundeck and a vast beach club with garage. 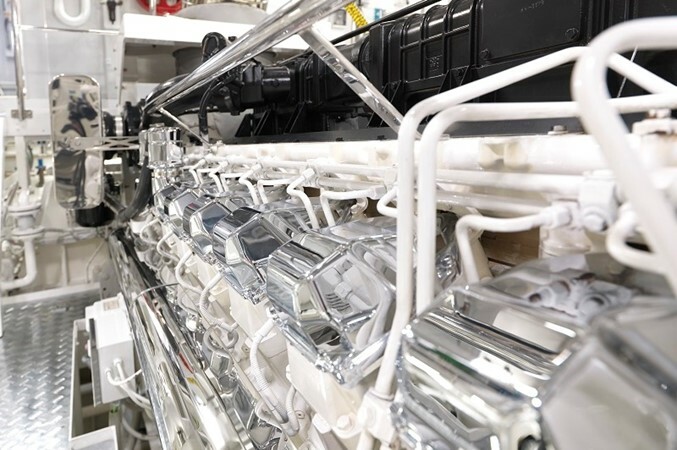 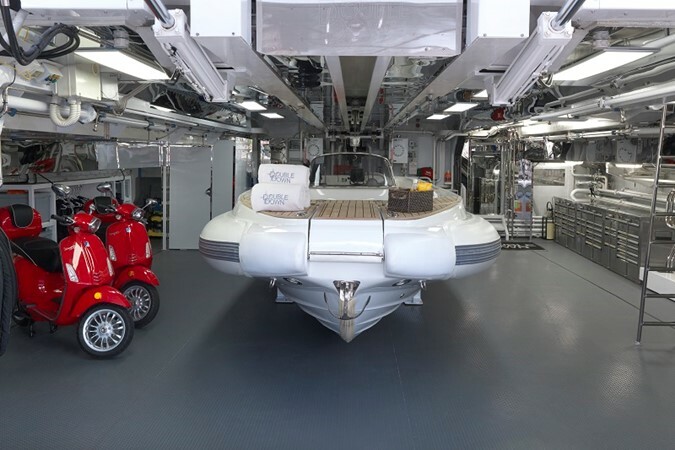 Technically DOUBLE DOWN is immaculately maintained, the yacht was freshly painted in 2016, and for peace of mind there is a full 5-year Caterpillar factory extended warranty on main engines from February 2016 as well as new Hug particle filters on the generator exhausts. 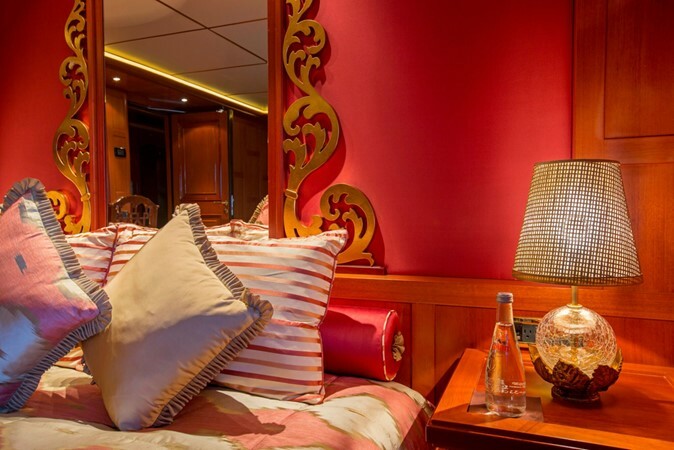 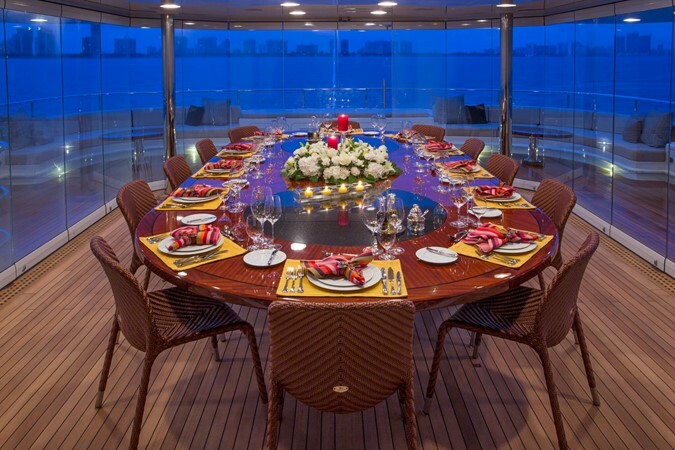 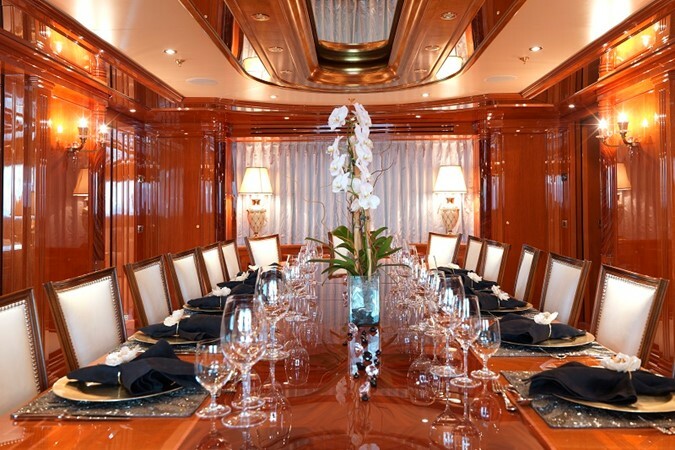 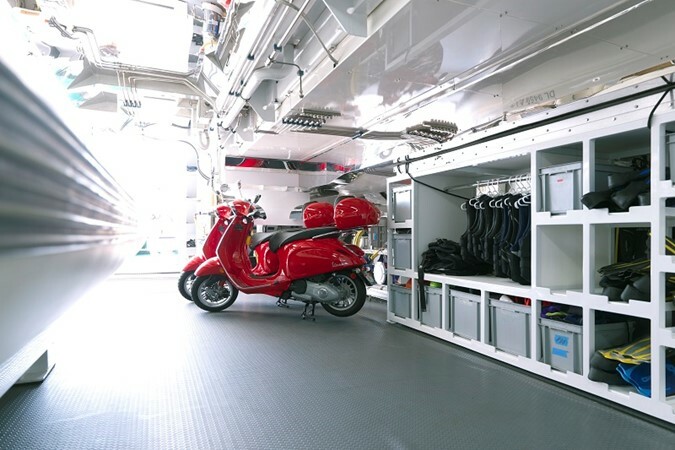 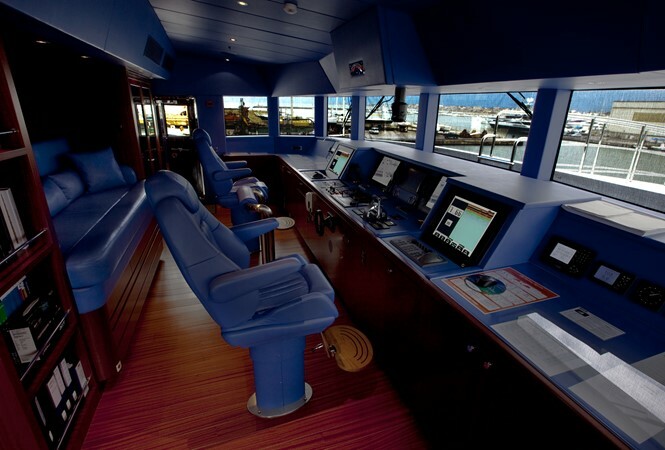 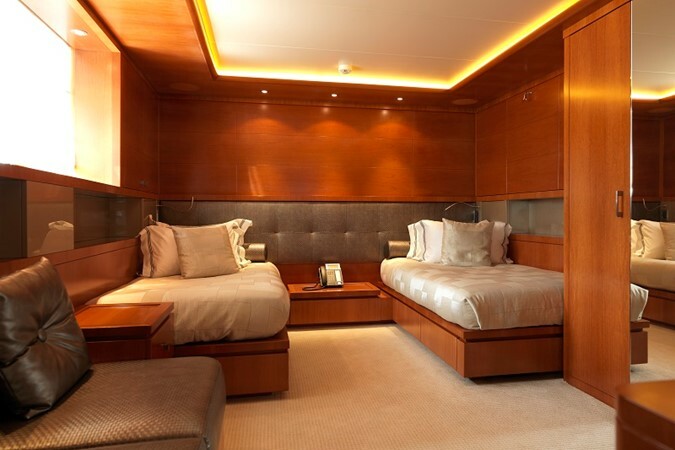 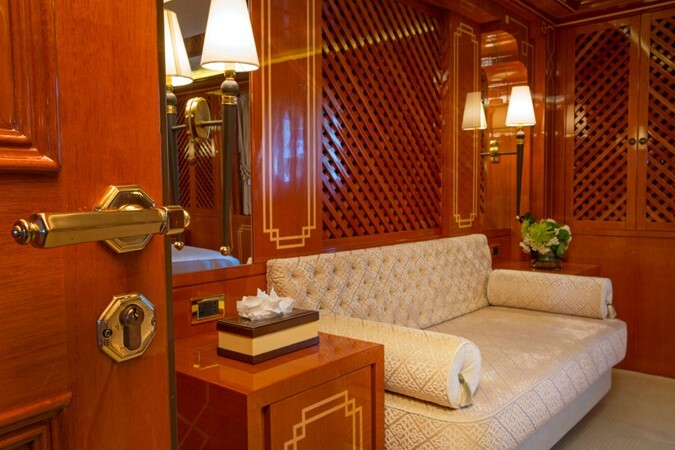 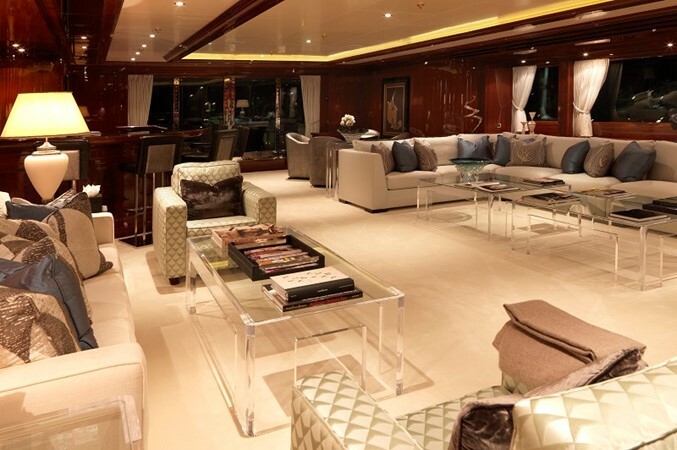 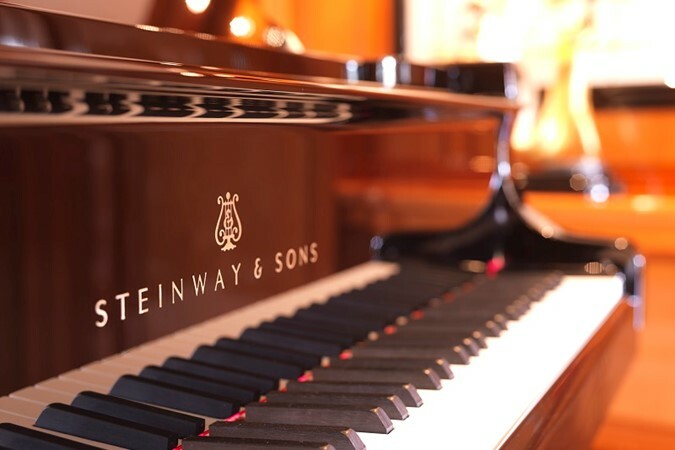 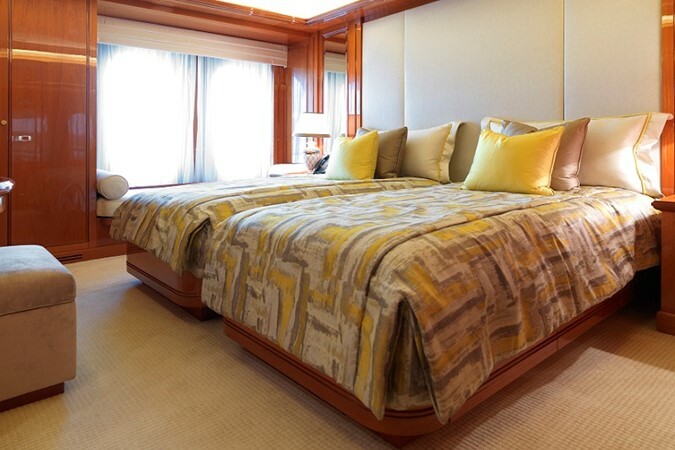 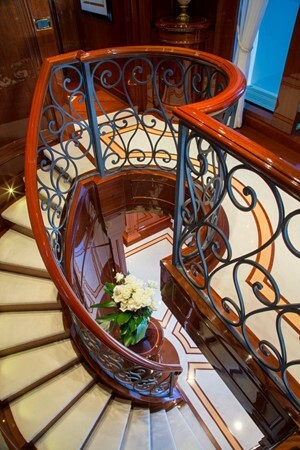 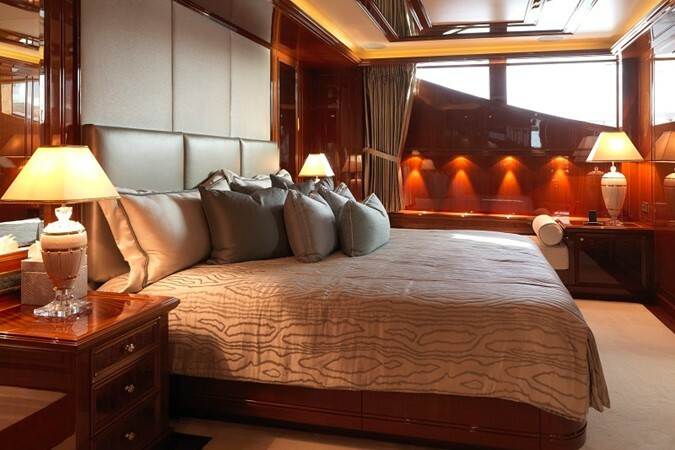 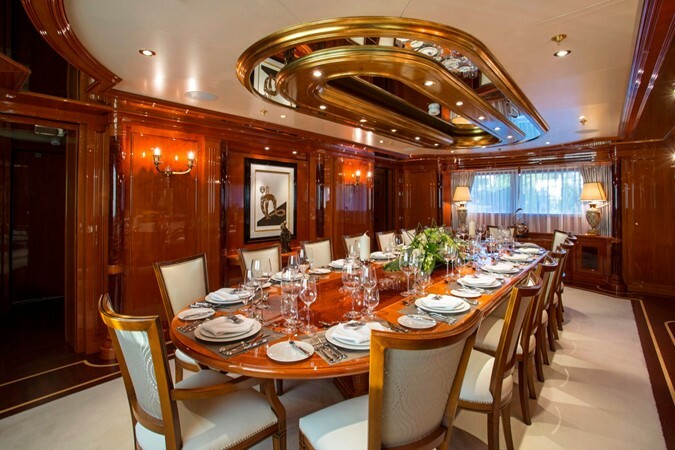 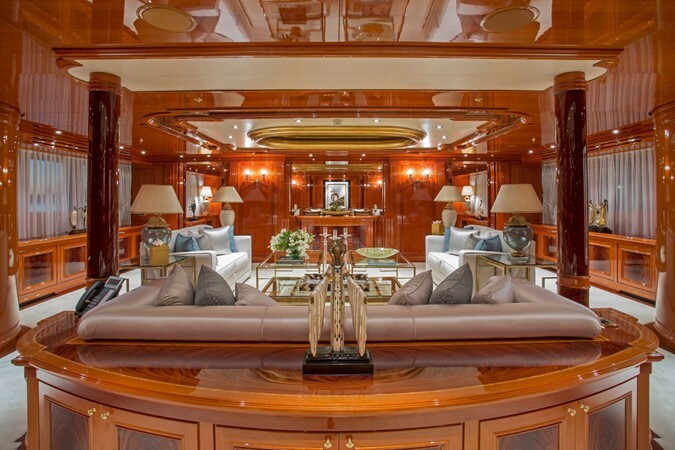 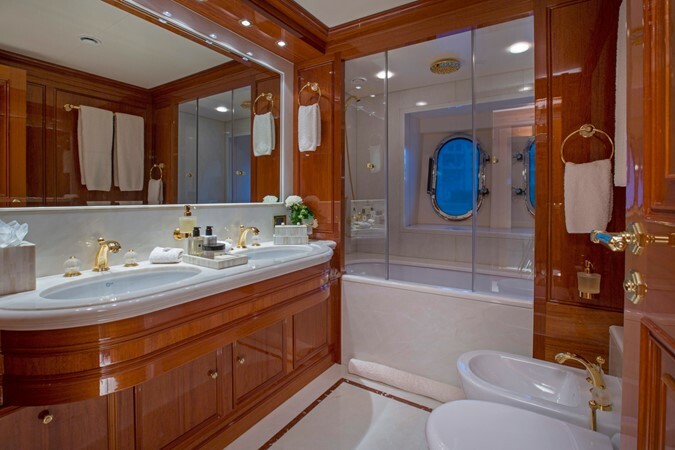 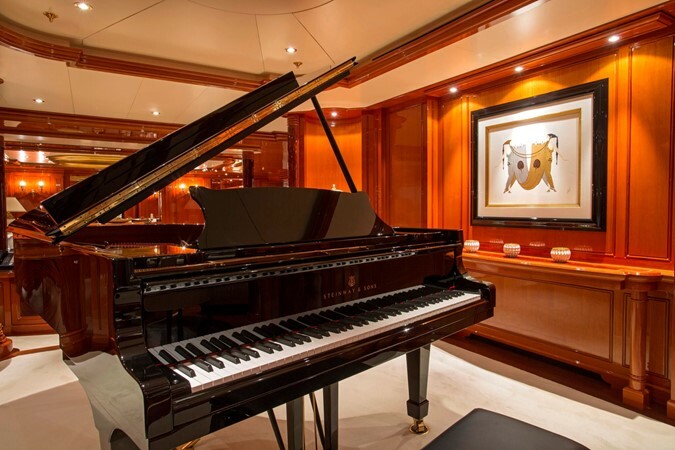 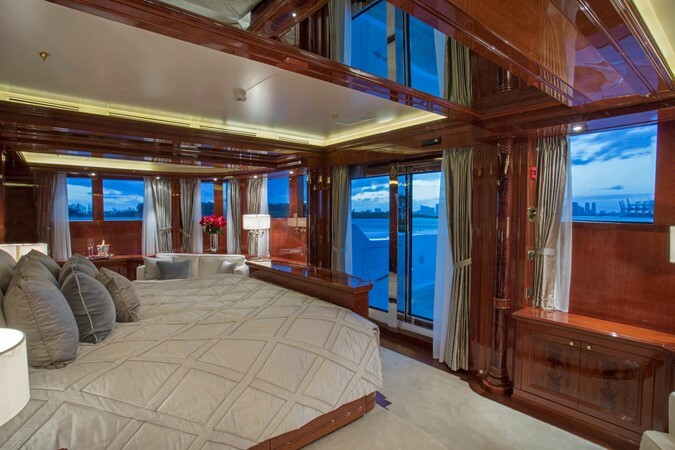 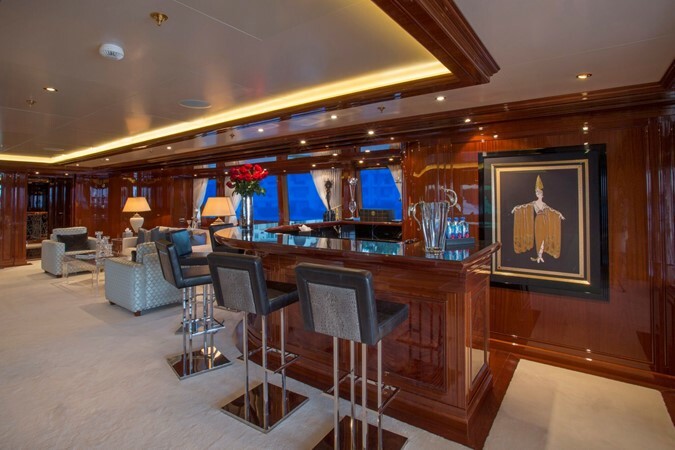 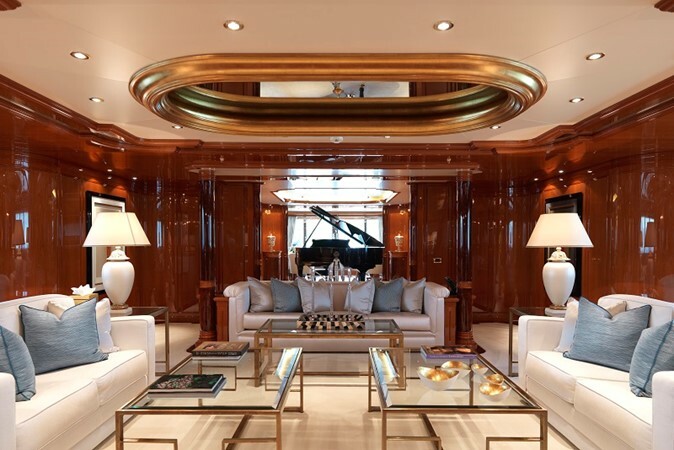 The fully customised and detailed engine room gleams and runs to perfection.